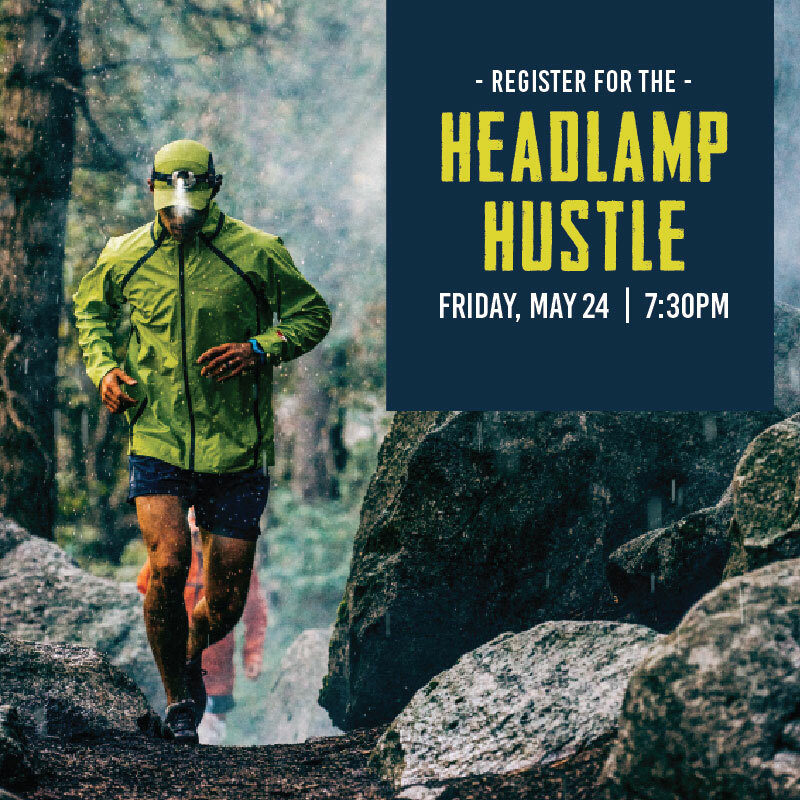 Come out and support the Ice Age Trail Alliance by joining in our Headlamp Hustle! 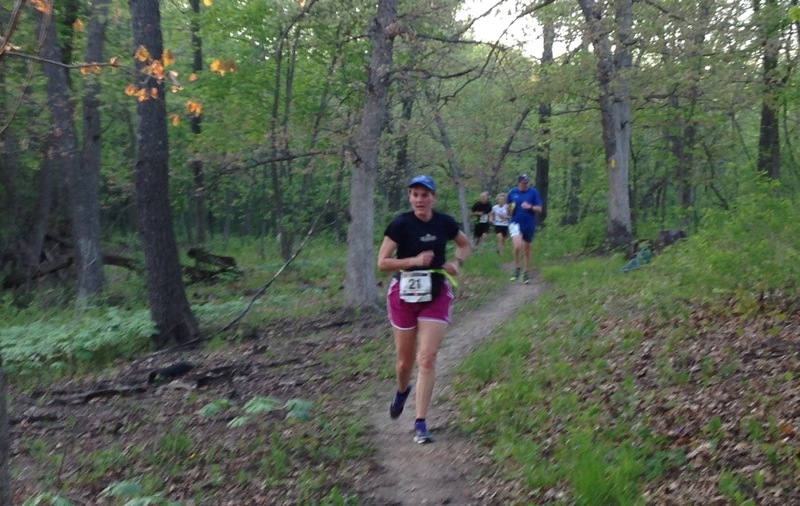 Enjoy a trail run on the beautiful Table Bluff Segment of the Ice Age Trail. It traverses restored prairie as well as steep, rocky slopes. There are approximately 200 feet of total vertical relief and several vistas from the heads of two valleys and two prominent goat prairies that offer great views of the Driftless Area. The path is dirt, mowed grass and glacial till (gravel). After the run hang around to enjoy a bonfire, food, beer, music, and FUN! The top overall winners for each distance for men and women will receive prizes. Following the awards ceremony, we will also have a large prize drawing (at least 25 prizes) in which all participants are eligible to win! You must be present to win. 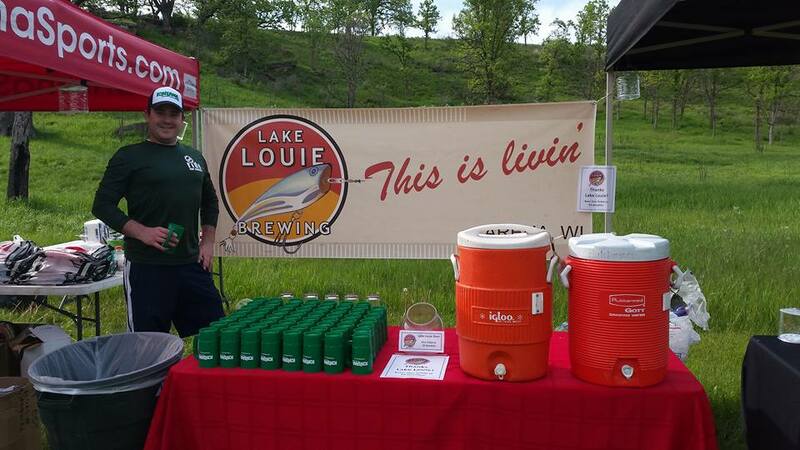 Registration includes $15 donation to the Ice Age Trail Alliance, Headlamp Hustle logoed swag item (TBD) for the first 100 registrants, race bag, aid stations and post race food and a take-home glass or mug with 1 Deschutes Brewery beer. *Again this year we’ve decided to do away with timing as it has increased greatly in cost and we’ve decided to donate more to the Ice Age Trail Alliance instead. The donation amount has gone from $10 to $15 for each participant. There will be a clock at the beginning and end so participants can note their times if interested. We will track who are the first finishers for each gender in each distance so the four overall winners will get prizes. We hope everyone will understand that this event is for fun and to support the Ice Age Trail Alliance first and foremost. Where will we be walking/running? Located in the Driftless Area of southwestern Wisconsin, the Table Bluff Segment traverses restored prairie as well as steep, rocky slopes. 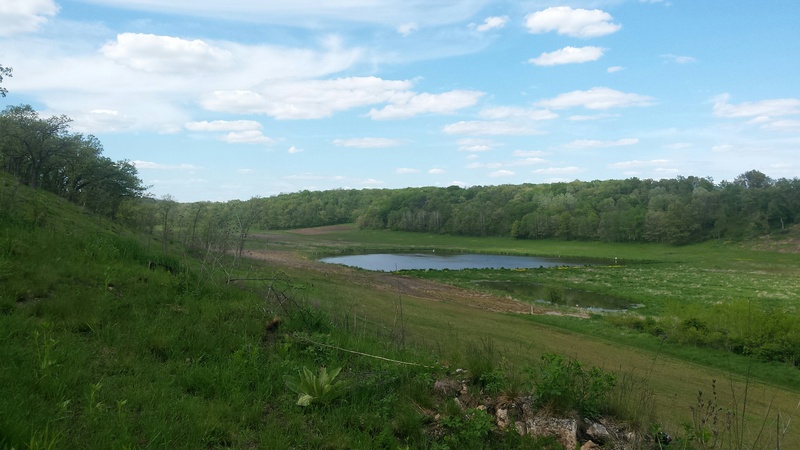 There is approximately 200 feet of total vertical relief and several vistas from the heads of two valleys and two prominent goat prairies that offer great views of the Driftless Area. The path is dirt, mowed grass and glacial till (gravel). Will most of the walk/run be in the dark? Only a portion of the walk or run will be in the dark and that depends on your speed and distance. We want to get everyone out (10K’s will start first) and on the course well before dark and then on the way back in it should be around or after sunset. The after party will be in the dark and we will all need our headlamps for it. Is registration refundable? No, registrations are not refundable. Is there a weather cancellation policy? Yes, if the temperature is below freezing or there is severe lightning the event will be canceled. All registration fees besides the processing fees will be donated to the IATA. It is very unlikely the event will be canceled, so please come dressed appropriately for the weather. Check Fontana Sports’ Facebook page for cancellation notices. Is this a timed event? No. New this year we’ve decided to do away with timing as it has increased greatly in cost and we’ve decide to donate more to the Ice Age Trail Alliance instead. The donation amount has gone from $10 to $15 for each participant. There will be a clock at the beginning and end so participants can note their times if interested. We will track who are the first finishers for each gender in each distance so the four overall winners will get prizes. We hope everyone will understand that this event is for fun and to support the Ice Age Trail Alliance first and foremost. Are there set start times? Yes, we will do waves of start times. We’ll get the 10K folks out first and then the 5k. Can I bring animals to the event? No, please keep animals at home since it will be dark out for a portion of the event. How late will this event go? The event will be over by 9:30 pm, but people are welcome to come and go as they please. Can I bring someone who isn’t registered to the event? Yes, people who are not registered are welcome to attend, cheer on participants, enjoy the atmosphere and make a suggested donation for a drink or food. When does registration close? Pre-registration will close on Thursday, May 24th at Noon. 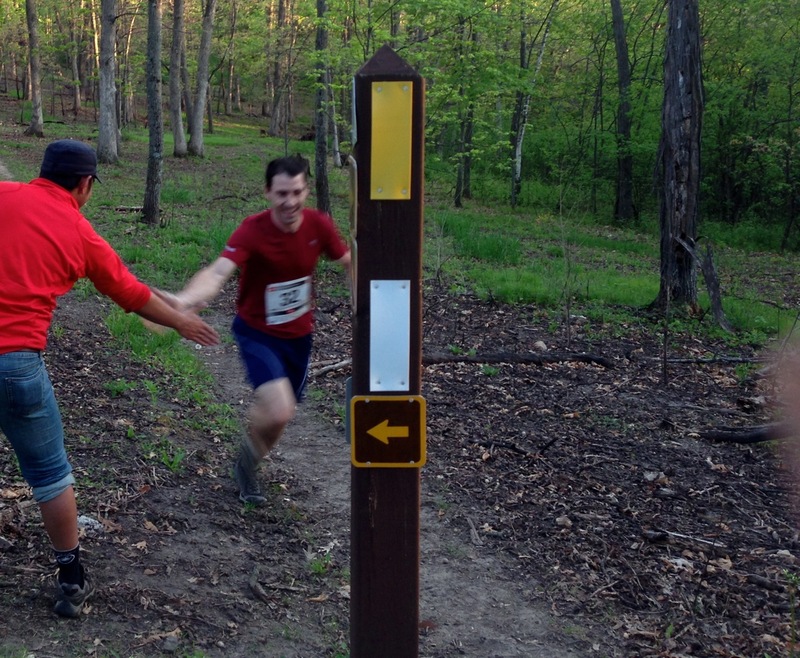 Race day registration is available on site. Is there parking? Yes, there is a limited roadside parking, but most parking is in a mowed off-road area and it is small so please carpool if you can. From the IATA headquarters in Cross Plains, take USH-14 west 1.2 mi. At CTH-KP turn right and go north 0.3 mi. At Scheele Rd. turn left and go west 0.3 mi to a gated gravel road on the north side and the Trail access. Please do not block access road. Are there restrooms? Yes, there will be a porta-potty on site, but only one so please be mindful of lines. Why is Fontana Sports putting on this event? 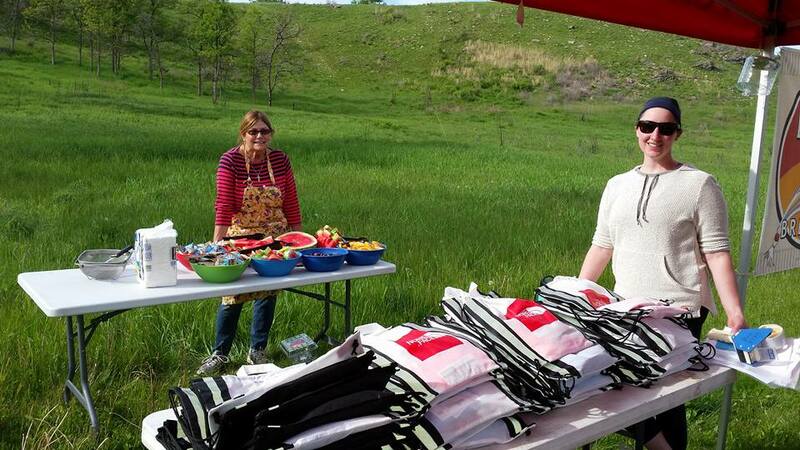 We enjoy raising money for non-profit organizations we believe in while helping our community to get active outdoors. Fontana Sports, which is a locally owned business, has always had a close relationship with the IATA as we find the organization incredibly important for encouraging people to get outside and appreciate the outdoors; as well as the work they do to protect and support Wisconsin lands. The Hutchinson’s, who own Fontana Sports, have had so many great adventures, day hikes and winter explorations on the IAT. We hope you’ll join us! Map Please note, the rout below is an estimated route.